INDUSTRY.co.id - Banda Aceh - Aceh's Meteorology, Climatology and Geophysics Agency (BMKG) revealed that 57 hot spots detected by satellites appeared in the province. The 57 hot spots, he explained, were scattered in eight districts in the northernmost province of North Sumatra. The majority of these hotspots are concentrated in the Central Highlands region of Aceh. Like, 23 of them are in Central Aceh in six local sub-districts, 17 points in Gayo Lues also in six sub-districts, Bener Meriah and Aceh Tenggara, each with three points in four sub-districts. Then the five points observed in Aceh Jaya were in three sub-districts, Aceh Besar detected three points in two sub-districts, Aceh Barat two points in two sub-districts, and Aceh Selatan one point. "Of the total 57 hotspots, there are seven points in the seven sub-districts suspected of being hotspots, namely in the Fresh Sea and Silih Nara (Central Aceh), Setia Lue Bakti and Teunom (Aceh Jaya), Lue Jantho City and Seulimun ( "Aceh Besar), and Blang Keujeren (Gayo Lues)," he explained. "There are 18 hotspots in seven sub-districts as hotspots. Putri Betung four points, three-point Occult Rikitis, two-point Jaya Teripe, and one-point Terangon (Gayo Lues), three-point Linge and four point Silih Nara (Central Aceh), The hill is one point (Bener Meriah), "Zakaria said. This year, the government is guarding the forest and land-prone areas so tight that it has succeeded in reducing the number of hotspots by 96.5 percent throughout Indonesia in the 2015-2017 period. "Based on NOAA's satellite monitoring data, the number of hotspots in 2015 reached 21,929, while in 2016 it decreased to 3,915. 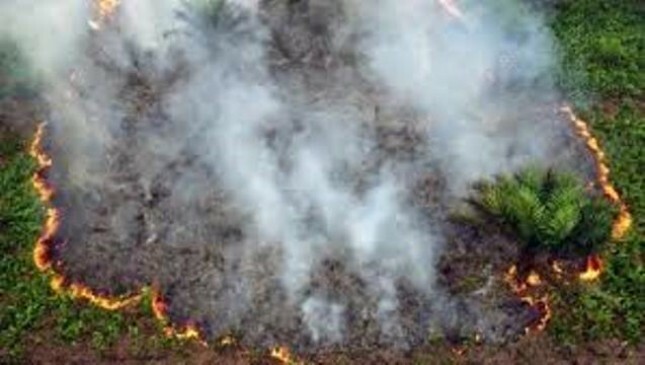 In 2017, the number of hotspots declined again to 2,257," said Director of Forest and Land Fire Control at the Ministry of Environment and Forestry (KLHK ) Raffles B Panjaitan. KLHK noted that the area of ​​forest and land burned in 2015 reached 2,611,411 hectares (ha). This number decreased to 438,360 ha in 2016, then dropped again to 165,464 ha in 2017.